When you’re on a Pacific Links International golf course, you may notice how green and lush the grass is. The grass makes it ideal for putting and swinging as you play your round of golf. Keep in mind, however, that the grass would not look or feel this way without continual upkeep and care. 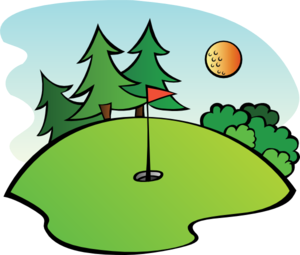 If you intend to maintain a golf course, you have to keep an eye on the condition of the tees, greens, hazards, fairways, and the landscape. For understanding more on golf course care, read on for a guide on maintenance. A golf course will go through a lot by the end of the day. Golf club members will stick in tees and sweep through grass turf as they make their swings. It’s your duty to make these repairs on the greens. Where you see worn down and scarred grass, you should gently replace the turf on the greens. If turf cannot be repaired this way, then plant some new grass by combining turf seed with water on these patches. To keep the turf healthy and growing, be sure you aerate the course 2 times a year. This will also assist in reducing water runoff. Bunkers on the golf course need work as well. In the evening, you should note marks from foot traffic as well as clubs hitting balls. Rake this sandy area so it will look brand new again. Remember to look after the water hazards on the course. See that they remain at the appropriate height, adding or removing water as necessary. You might notice some litter or other items floating on the surface. Remove these items. Keep a lookout for other pieces of litter on the course and pick these up. Set up trash cans so users will remember to properly dispose of rubbish. Hydration is essential to maintaining a healthy golf course. Set up sprinkler systems around the property and regularly check on them to be sure they are functioning. Also be on the lookout for leaks, since this can hurt you financially. The amount of water you will use can be costly, so you can save money by targeting only key areas of the course. You should irrigate the course at least once a day. The late morning and early evening are the best times to water the Pacific Links International course.